There is something you can do about harassment and abuse based on race or religion. No-one should suffer insult or abuse because of the way they look or what they believe in. 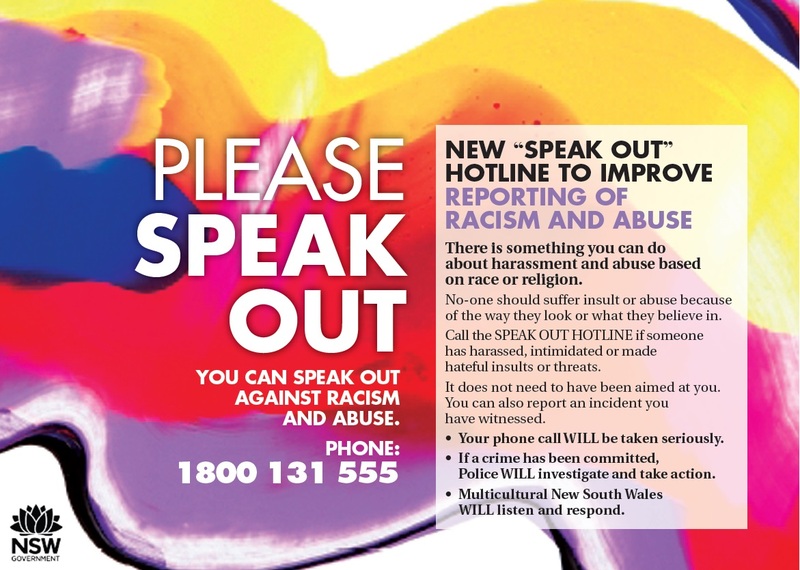 Call the SPEAK OUT HOTLINE if someone has harassed, intimidated or made hateful insults or threats. It does not need to have been aimed at you. You can also report an incident you have witnessed. Your phone call will be taken seriously. If a crime has been committed, Police will investigate and take action. Multicultural New South Wales will listen and respond. You can SPEAK OUT against racism and abuse.